The recent development of high-precision calorimeters allows us to monitor the structural transition of biomolecules by calorimetry and thereby characterize the thermodynamic property changes accompanying three-dimensional structure changes. We developed isothermal acid-titration calorimetry (IATC) to evaluate the pH dependence of protein enthalpy. 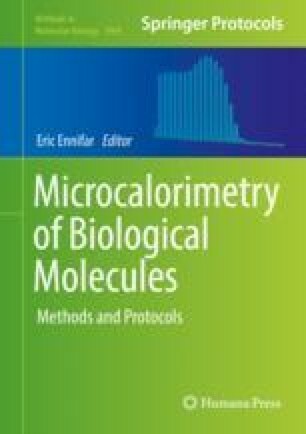 Using the double deconvolution method with precise differential scanning calorimetry (DSC), we revealed that the MG state is an equilibrium intermediate state of the reversible thermal three-state transition of the protein, and we successfully determined its volumetric properties by pressure perturbation calorimetry (PPC). Our findings underscore the importance of a precise calorimetry and analysis model for protein research.